These positivity tips for the mind are useful both if you suffer from depression & anxiety or if you’re just stuck in a bad mood rut at the moment. Recovering from a mental health issue obviously takes a great deal of time, support and hard work but something equally important, and not often discussed, is maintaining your mental health after recovery. Despite everything we’ve learned if our brains were hardwired for many years to think a certain way it can be very easy to slip back down when faced with challenges in life. In many ways, mental health issues leave us stronger as individuals but that doesn’t mean we aren’t still left vulnerable when events in life are tricky. 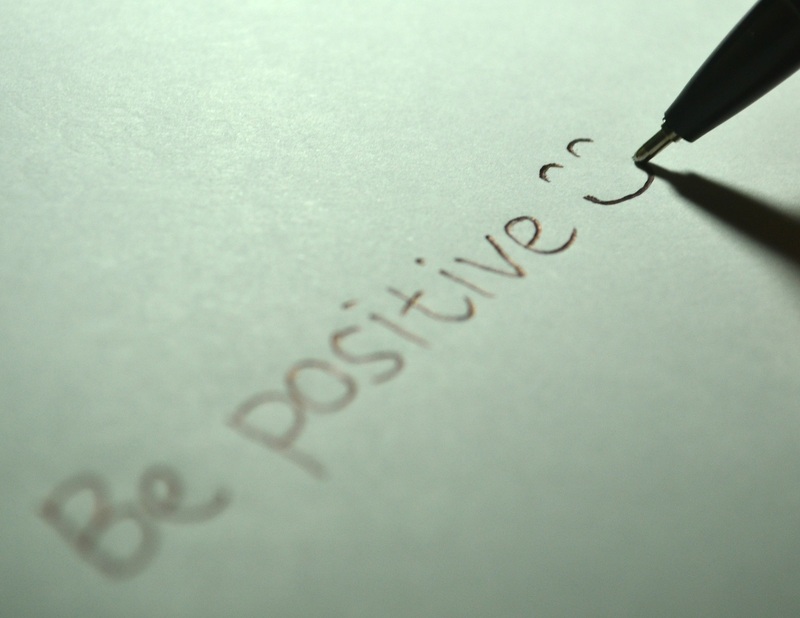 It’s during these times that positivity is so important. Hiding or burying our emotions can be a dangerous move but allowing our brains to dwell for too long in negative feelings is also damaging. We’ve had a rough few weeks lately. We’ve had a couple of major blows; losing my grandmother and getting the news of our infertility, followed by much smaller stresses like minor problems in the house. During the last few days I’ve definitely begun to feel the effect of this in my brain and my mood, and it’s a little scary. Thankfully, it’s not my first rodeo and I’m able to recognise what’s happening and take some action to (hopefully) turn my mood around before things become more sinister. I will never tire of talking about this as it’s effect can be pretty immediate. Our brains and our emotions are directly connected so a negative thought immediately triggers a burst of unpleasant emotion, and sometimes even an unsettling physical sensation. This could lead back to more negative thoughts and you find yourself stuck in nasty cycle. Take action. Learn to recognise a negative or irrational thought and try to turn it around in your mind. As an example, if I see a new baby my initial thought might be “It’s not fair. I’ll never have another baby and I’ll feel that unhappiness and resentment for the rest of my life.” This would lead to lots of sadness, anger and jealousy and perhaps a pit in my stomach or tension in my muscles. If I can turn that thought around a little, i.e. “That baby is so cute, I wish we could have another. This may or may not happen but either way I know we’ll be fine and I’ll still find happiness in life as we frequently do now with our son.” I can help myself to feel better. The second thought is much more rational and the outcome more likely, therefore it doesn’t cause me as much emotional or physical distress. 2. It is really important? Will it always be important? We often find ourselves in stressful situations, in work or at home, and it can be difficult in those high octane moments to think rationally or listen to reason. An example of this for me is springing a leak in our brand new bathroom last week. Taking a step back and getting some perspective can help. Take action. Pause and ask yourself will I care about this issue in five minutes, five hours, five days, five weeks, five months or five years? There are very few cases where the stressful situation is still going to be important years, months or weeks from now. Often even hours from now it will be resolved. We can feel most stressed, down and anxious when we’ve been too focused on pleasing others or have been too busy for too long. If we overstretch our minds they become tired and that’s when we become vulnerable. Take action. Three simple steps – self-care, self-kindness and surround yourself with your best, most supportive and positive people. I often can’t resist the urge to jump to the worst case scenario of any given situation – my therapist called this catastrophising and it’s really common. Although this is usually considered an unhelpful move I’ve found that it can also help me with anxious feelings on occasion. If I’m getting tangled up in worry over a particular issue I sometimes allow myself the indulgence of following that worry through to its worst conclusion, as this often helps me get perspective on the problem. Take action. To use the same example as above, if I’m finding myself in a tangled web of worry about expanding our family I’ll take myself to the worst case scenario; being unable to have any more kids, and really consider what it would be like. Would our life be over? Would we feel unhappy? Would it take anything away from our relationship with our son or his development? This isn’t always going to work as some worst case scenarios are just too upsetting to spend time thinking about but often I end this process realising that if the worst happens with any given situation I’ll still cope. 5. What have you got to be grateful for? It’s really easy when we’re feeling low or are struggling with difficulties in life to feel jealous and resentful towards others. I’m a sucker for this. I often find myself stuck in self-pity parties and fixating on how easy everyone else appears to have it. Not only is this not a particularly attractive feature to others but it’s also no good for the mind. The opposite of this indulgence is to practice gratitude, even if sometimes you have to force yourself into it. Take action. Start a gratitude journal. Write down three things every morning you’re grateful for – even if they are just small and simple items. Each evening write down three positive moments from your day, again small is fine (and better really!). This blog post was originally published on thebutterflymother.com and has been republished with the permission of the author, Laura Clark. Laura Clark is a mental health blogger and mum of one who shares her experience of Postnatal Depression, Anxiety & OCD in the hope of helping other new mums to feel less alone. Read more from her on The Butterfly Mother blog or find her on Facebook here.